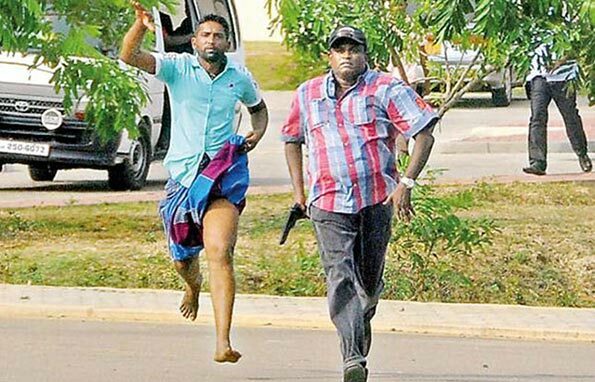 Hambantota Mayor Eraj Fernando arrested for allegedly attempting to assault a suspect in police custody in March, 2014, Police spokesman told media. Fernando has been arrested regarding an incident that took place in Ambalantota Police Station, in March 2014. He had attempted to assault and kidnap a suspect in police custody. Mayor Eraj Fernando will be produced before the Hambantota Magistrate, today. This uneducated thug must be jailed.